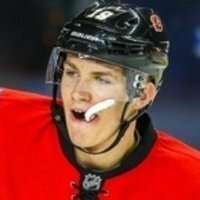 Gaaad, we get a heaping helping of McDavid hype. Parents on Hometown Hockey with Ron. Most likely get some pro-Oiler color commentary. Everytime they say his full name, take a drink. Every time they something like generational or how did he do that, drink a full one. Time to mute this garbage. At least the OIlers are wearing their Decade of Darkness Blue retro jerseys. I think it may be Bob Cole doing the game, at least. Some good Flames chances that were overpassed. Minor breakdowns in the D-zone. Come on Flames create some Offensive pressure and score the first goal!! So I tried streaming the game from both the away and home feeds. Just debating if I should try and watch it on mute. Pretty solid PK by everyone including Rittich. Poor guy eh? Last game is in Edmonton? We don't treat the elderly very well in Canada. How come Chassion couldn't do that good when he played for the Flames?? Brodie left McDoofus all alone. Sh*t! Get that one back boys! Anybody else can't stand Louie DeBrusk?? Brodie forgot his man and double covered the guy Ras had. DOn;t need to give the fans anything to cheer about. Need to start dialing it up in the 2nd. Unless Kassian does something stupid, this will be a low event game. Did Hamonic even have the puck when Lucic hit him? ?